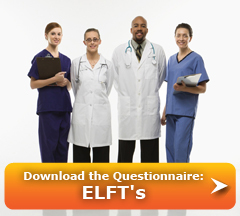 One of the most common abnormalities in an insurance exam lab is an elevated liver function test. Although they may be generated by other tissues in the body, an unexplained elevation of one or more liver function tests is a concern for impaired liver function. Elevations in SGOT (or AST) and SGPT (or ALT) are usually caused by liver damage, which allows these enzymes to be released out of the cells. The GGT (or GGTP) test is a very sensitive enzyme for the detection of early liver disease or damage. It also is an inducible enzyme, meaning that it will rise when the liver is busy metabolizing some types of drugs or toxins (like alcohol). Many impairments may cause elevations in one or more of the liver enzymes, including hepatitis, cirrhosis, fatty liver, excess alcohol use, liver cancer or metastases, as well as certain medications such as Dilantin, phenobarbital, allopurinol, and many others. How long has the proposed insured had elevated liver functions?...or is it a new finding? Was the elevated testing done by their doctor or insurance exam labs? How elevated are the tests? 1X normal?...2X normal?... more than 3X? Has there been a positive alcohol marker test?...if so, what is the drinking history? Has there been testing done for hepatitis?... ultrasound?.... biopsy? Is there a known cause of the elevations?...has a doctor reviewed the elevated labs? The goal in underwriting abnormal liver tests is to determine the underlying cause and rate the case for that issue. Many of the conditions listed above can be quite serious. The level of the amount above normal will have a definite role in the final offer or quote. The underwriter will consider the degree of elevation, the clinical history, and the current physical findings. We do have several carriers that are more aggressive than others and will allow slight increases, even in the Preferred Best type categories. As always, we're here to help you answer questions, and provide the best underwriting services possible to help you place cases. Click here to contact our underwriter, Mike Woods, with specific questions about elevated liver function tests.